Even in its least powerful 1.2i 16v petrol form, the ADAM punts Vauxhall straight into the style-led city car sector. It's striking to look at, both inside and out and includes some features yet to be seen in this segment. The big question will be whether urban hipsters will get past this most blue-collar of badges. Vauxhall has built some stylish cars in the past. The trouble is, they've only been stylish to a small percentage of the car buying population. A Vauxhall with widespread chic appeal? I'm struggling to think of one. Some of the company's niche models have undoubtedly worked and worked well, but with its ADAM city car, Vauxhall is looking to grab the attention of fashionista buyers who might otherwise choose a MINI, a Fiat 500 or a Citroen DS3. Yes, you did read that correctly. It's called an ADAM. We can't even blame Vauxhall for that odd name. It's an Opel thing. Vauxhall's sister brand in Germany flexed the corporate muscles a bit and insisted the car would be named after Adam Opel, the company's founder. It's now got me wondering if it'll start at trend for Biblical car names. Lotus Ezekiel anyone? Let's check this car out in entry-level 1.2i 16v petrol guise. Talk to anyone who really knows about cars and they'll tell you how good the latest generation Corsa is. Trouble is, the man in the street still associates the Corsa with the mediocre old vehicles that replaced the Nova and weren't particularly great. 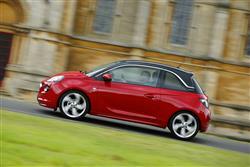 The ADAM rides on a cut down version of the Corsa's chassis and that can only be good news. It's been extensively re-engineered to suit the demands of the shorter wheelbase. 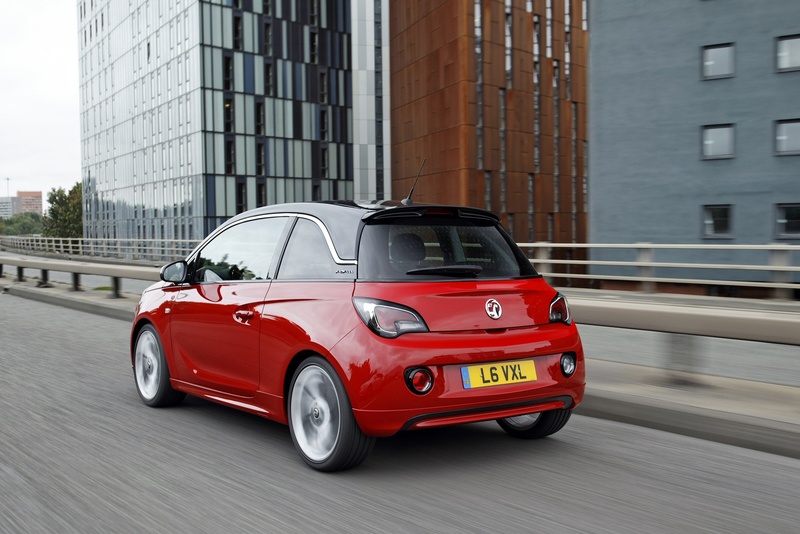 It's ostensibly quite a simple set-up but Vauxhall has invested years of know how into it. Up front are a set of MacPherson struts while the rear end utilises a torsion beam set-up. Ease of use on urban roads is enhanced by a CITY mode, which increases the electronic power steering system's assistance at lower speeds. This is a car that's going to sell largely on whether the styling chimes with new car buyers and Vauxhall certainly can't be accused of going at it half-cocked. There's a lot going on, the design work attributed to Brit, Mark Adams' team in Europe. The ADAM incorporates a 'floating' roof which is visually disconnected from the body, which works particularly well with two-tone colour schemes. It looks like no other Vauxhall but still incorporates a bunch of existing styling cues, such as the Astra's wing-shaped chrome grille bar and the blade shape in the lower doors. Like MINI, Vauxhall is looking to appeal to the customer's sense of individuality in the sheer amount of colour combinations and materials. Wheels range from 16 inches in size for entry-level cars and there are 17 and 18-inch options further up the range, with a lowered sports chassis part of the deal. Unlike many cars which offer striking exterior designs but an interior that betrays a sudden curtailment of development budget, the cabin of the ADAM is, if anything, even bolder than the exterior. 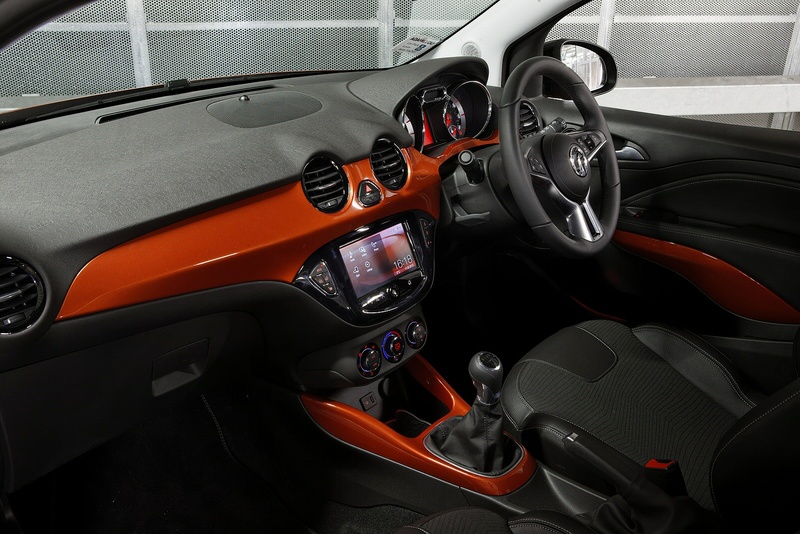 There's extensive use of body-coloured trim inserts, not only on the dashboard but also reaching along the centre console and onto the steering wheel aimed at giving the interior a real riotous personality. A seven-inch touch screen interface is the big point of interest from a technological perspective. It's both iPhone and Android compatible, and can access internet-downloaded apps in the same manner as the latest Renault Clio and Peugeot 208. Where specified, the navigation and infotainment controls are all marshalled by the touch screen. There's even a choice of headlining, including an LED-lit starlight roof trim. Prices for the 1.2-litre ADAM start at just over £11,000, so there's a saving of around £300 over the lesser-powered of the two 1.4-litre petrol models. Whichever engine you choose, the ADAM is offered with three trim levels, JAM (fashionable/colourful), GLAM (elegant/sophisticated) and SLAM (racy/sporty). The latest generation ESP system is standard on all models and it also includes a Hill Start Assist function. The wonderful star-effect roof and a heated steering wheel are options that differentiate the Vauxhall from the run of the mill city car contenders and these surprise and delight features are key in a market that's not always led fully by upfront pricing. Expect 53.3mpg on the combined cycle and 124g/km of CO2 from a 1.2-litre ADAM, figures that improve to 56.5mpg and 118g/km if you specify the extra cost ecoFLEX package. As well as low rolling resistance tyres, this includes a start/stop system that cuts the engine when you don't need it, stuck in traffic or waiting at the lights. All enough to make a difference of around 5% to your figures, stats you can hopefully replicate on a day-to-day basis thanks to an 'Eco Drive Assistant' - basically a section of the trip computer that monitors energy consumption and indicates when to shift up. 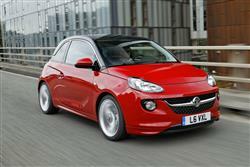 If you�re looking for a new Vauxhall Adam 1.2i Griffin 3dr Petrol Hatchback for sale, you�ve come to the right place. At Bristol Street Motors we don�t just have the best Vauxhall Adam 1.2i Griffin 3dr Petrol Hatchback deals, we also offer friendly advice and help with all your enquiries to ensure your buying experience is a happy experience.